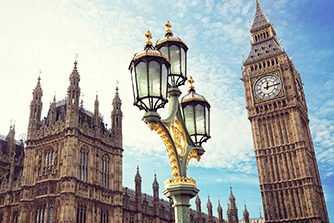 The UK government has published a further batch of 29 technical papers that set out contingency plans in the event that no Brexit deal is agreed when the UK leaves the EU on 29 March 2019. The latest technical papers, which are designed to give advice to citizens and businesses, assess the impact of a no-deal Brexit on areas including sanctions and existing free trade agreements. We have previously reported on the UK government’s previous publication of 77 technical papers in August and September 2018, which covered various sectors such as banking, insurance, cross-border insolvency and intellectual property rights. Following the publication of the latest batch of technical papers, Brexit Secretary Dominic Raab stated that “securing a good deal with our EU partners remains [the UK’s] top priority” despite over 100 technical papers detailing no-deal Brexit plans that have been published by the UK government. However, the Brexit Secretary warned that the UK will make a success of Brexit if the EU fails to show the same level of “ambition and pragmatism” as the UK in agreeing to a Brexit deal. A summary of the key points contained within the latest batch of technical papers concerning existing free trade agreements, accounting and audit, professional qualifications, business structuring, geo-blocking of online content and sanctions policy are laid out below. Existing EU free trade agreements with third countries (countries that are not EU member states) will cease to apply, which currently make up around 12% of the UK’s total trade. The UK will seek to replicate existing EU free trade agreements “as soon as possible thereafter” with the same preferential effects, although any final agreements depend on the UK’s ongoing discussions with each third country. If existing trade agreements cannot be replicated, UK international trade will be governed by the “Most Favoured Nation” principle under the World Trade Organization (“WTO”) rules; the same rate of duty, on the same good, must be charged to all WTO members equally. The UK will continue to have a functioning regulatory framework for businesses that will apply the same laws and rules that are currently in place to the greatest possible extent. The rules relating to audits of UK businesses operating solely within the UK will remain unchanged. However, there will be further requirements in relation to the audits of UK businesses operating cross-border and to the provision of audit services cross-border. For example, UK businesses with a branch operating in the EU will become third country businesses and will be required to comply with specific accounting and reporting requirements of the EU member state that the business is operating within. UK incorporated subsidiaries and parents of EU businesses will continue to be subject to the UK’s corporate reporting regime. There will be no system of reciprocal recognition of professional qualifications between European Economic Area (“EEA”) states and the UK; the Mutual Recognition of Professional Qualifications Directive will no longer apply to the UK, which enables EEA nationals to have their professional qualifications recognised in other EEA states. The UK will ensure that professionals arriving in the UK from EEA states, if the UK leaves the EU without a Brexit deal, will have a means to seek recognition of their qualifications. The UK will continue to have a functioning regulatory framework for companies by applying the same laws and rules that are currently in place to the greatest extent possible. EU member states will no longer be required to give effect to cross-border mergers that do not complete before the UK’s departure from the EU. UK companies that are undertaking a cross-border merger are advised to complete this process before the UK’s departure from the EU. Public companies with a Societas Europaea designation will no longer be able to be registered in the UK. Companies that are registered as Societas Europaea in the UK and have not made alternative arrangements before the UK’s departure from the EU will have the option of converting to a UK public limited company or are advised to consider moving their seat of incorporation to another EU member state. The EU’s new Geo-Blocking Regulation (the “Regulation”) will apply for EU member states from 3 December 2018 and prohibits a number of activities including blocking access to, or forced redirection away from, a website based on the EU nationality or EU residence of the internet user. This Regulation will cease to have effect in UK law if there is no Brexit deal and, therefore, the UK will no longer be subject to the list of prohibited activities. However, the Regulation will continue to apply to UK businesses operating within the EU. The UK will implement United Nations sanctions into UK domestic law after the UK leaves the EU; the UK is presently legally required to implement and enforce sanctions regimes agreed by the United Nations Security Council as an EU member state. The UK will also aim to implement all EU sanctions at the time of the UK’s departure. These sanctions regimes will be introduced through new legislation under the Sanctions and Anti-Money Laundering Act 2018.